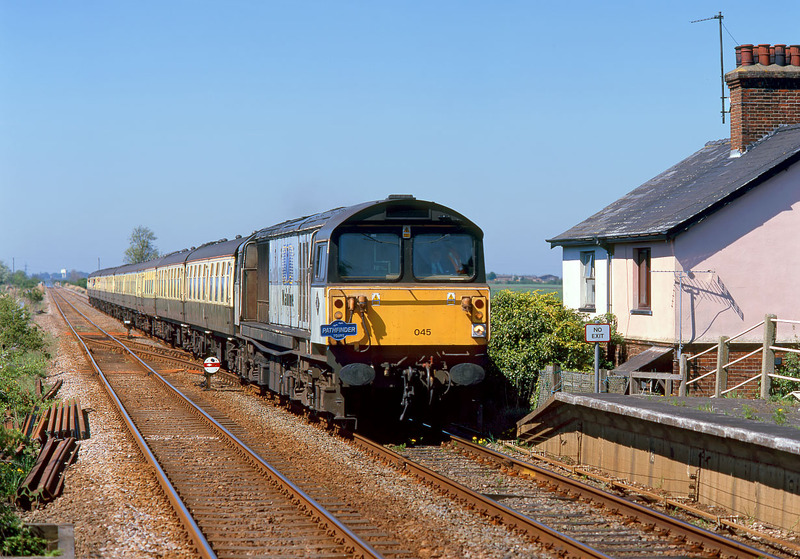 58045 approaches the remote station at Shippea Hill with the Pathfinder Tours 1Z43 03:58 Crewe to Lowestoft 'Freightliner Phoenix' railtour on 12 May 2001. The tour did not quite live up to its name, as due to traction problems no Freightliner locos were employed! However, in addition to this 58, Class 56, 60, 66, 59 & 92 locos were employed at various points during the day.